I put this on my instagram earlier today (if you aren't following me yet, why not?! Username ellenatlanta) and it seemed to go down quite well! I picked up this Sephora Matte Lip Stain in the colour number 13, Marvellous Mauve whilst in France last week, purely because I'm a sucker for trying liquid lipsticks in the hope of finding something as good (and more cost effective) as the Limecrime velvetines. 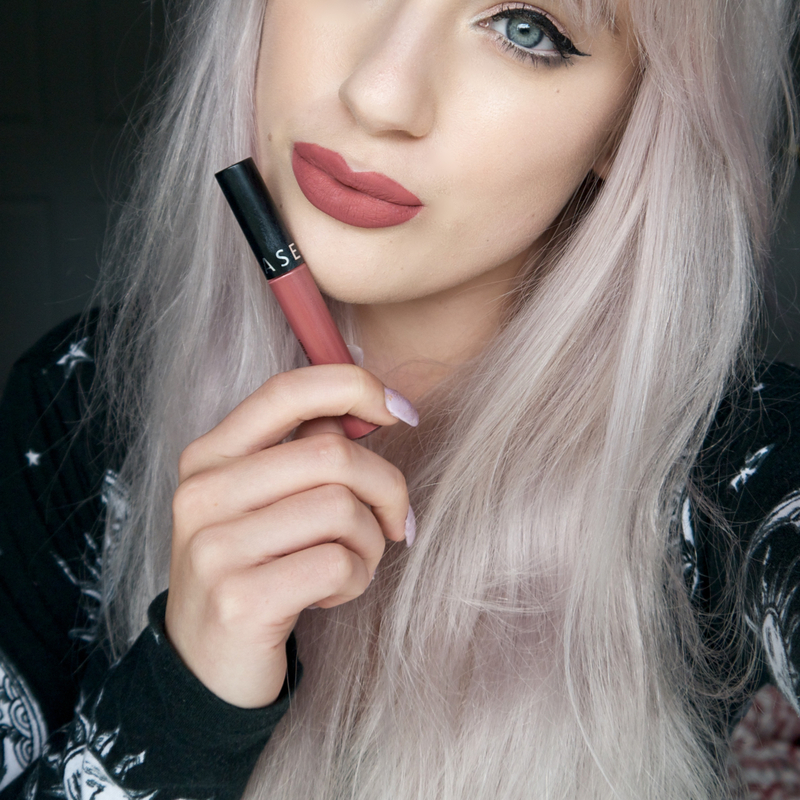 As you all know I have a velvetine in Cashmere (see post here), I purchased it before all the controversy with Limecrime really kicked off and after hearing other people's stories I'm now quite wary to purchase from them again...but their products are just so damn good! I've tried various other matte liquid lipsticks, from the Sleek Matte Me to the Me Now lip creams that were so popular on eBay but none of them wore as well and both of the above weren't waterproof at all and just flaked off in a really unflattering way. Cue the Sephora Matte Lip Stain! This product has almost the exact same formula, wear and even toffee-like scent as the Limecrime velvetines, plus there's a great range of colours. You also get 5ml of product as opposed to 2ml of the velvetines, for $13 instead of $20! They dry super fast and are comfortable to wear too. I really want to try more shades so I'll keep you all posted if I do purchase more! It looks so gorgeous on you! You're such a beauty! I only really wear matte lipsticks, I just prefer the look of them. This one is beautiful & looks fab on you. It's great that you've found a good dupe for the velvetines as they are amazing lipsticks.